Jen Wilkin, JT English, Kyle Worley are joined by their spouses to talk about what it’s like to live with a theologian. Jen Wilkin, JT English, Kyle Worley and guest Jamin Roller discuss the Ark, the Davidic covenant and more found in 2 Samuel 5–8. Jen Wilkin, JT English and Kyle Worley talk about all of the death and drama in 2 Samuel chapters 3 through 5. Jen Wilkin, JT English and Kyle Worley dive into the topic of baptism, discussion everything from what the Bible says about it to why it’s so controversial. Jen Wilkin, JT English and Kyle Worley discuss 2 Samuel 1–3—everything from the death of Saul to the anointing of David and what is happening with Joab and Abner. Jen Wilkin, JT English and Kyle Worley dive deep into the doctrine of Christology, discussing what it is and the biblical texts and historical creeds that have informed our understanding of it. This season, we’ll be talking a lot about 2 Samuel. This episode is an introduction to the book—why we’re talking about it, what it’s about and why we should care. How and why should you read Scripture? This episode explores everything from choosing a reading plan to knowing why it’s important to understand the various literary genres that make up the Bible. #29 - Can Kids Be Theologians? The crew talks about the littlest theologians—kids—and how the Church and families can help form them into healthy disciples from their earliest years. This Q&amp;A episode hits on several topics, like the Trinity, gluttony, the age of accountability and more. You’ve probably heard the term “incarnation” before, but what does it really mean? This episode explores what we’re talking about when we talk about the incarnation, some common misconceptions around this idea and why it matters. You’ve more than likely heard the story of David and Goliath, but what’s really going on in this story? We dive into 1 Samuel 16–17 to talk about common misrepresentations of this story, the role of anointing, and kingship in the Old Testament and more. #25 - Providence, Sovereignty, Aseity—Oh My! What is the doctrine of providence and how is that different from God’s sovereignty? We discuss how God continues to reign and rule over His creation. #24 - Don't Even Look at It! JT, Jen and Kyle are joined by Kelsey Hency, Editor in Chief of Fathom Magazine and Bible teacher, to talk about the Ark of the Covenant. They look at what it is, why it exists and its relationship to the presence of God. What is the doctrine of revelation and why is it so important? We explore how God has revealed Himself to us in the past and what that means for us today. Do you ever skip over books like 1 and 2 Samuel in your Bible reading plan? Do they just seem like a bunch of blood, names and numbers? There’s a lot more to these books than you might think, and they play an important role in the whole story of the Bible. 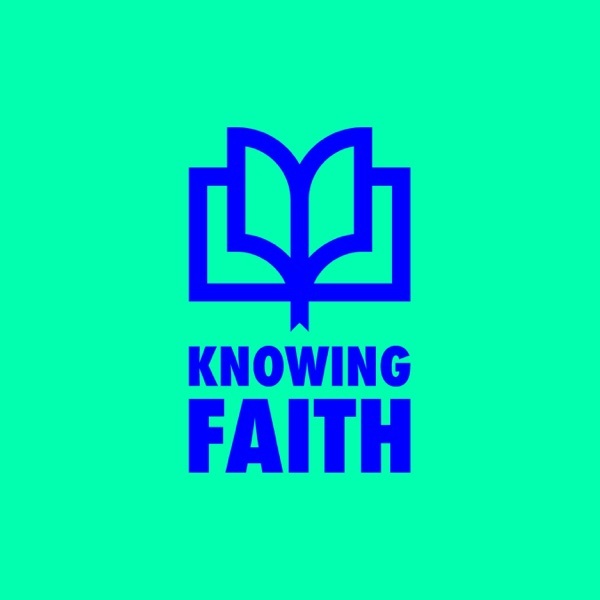 On the first episode of season two, the crew talks about their summers, a few updates and what to expect on this season of Knowing Faith. On this episode, we answer theological questions from our listeners. Listen to the crew discuss (and debate) topics like how we should read passages about Israel in 2018 or why God seems to be silent about the treatment of women in the Old Testament. #19 - Can You Trust Your Bible? We talk with Dr. Michael Kruger about how the Bible, as we know it, came to be and how we know we can trust it. We chat with our very own Jen Wilkin about her new book, “In His Image,” and how we, as limited humans, might strive to display the character of our limitless God. Join us as we discuss eschatology—the end of the world—through the lens of Matthew 23 – 25. Andy Crouch, author of “The Tech-Wise Family” and “Culture Making: Recovering Our Creative Calling,” joins us to talk about culture, power and institutions and what implications those things have on the Church and believers. Jeremy Treat, author of The Crucified King, joins us to talk about the kingdom and the cross and why both are crucial to how we understand and live out the gospel. #13 - So, What’s Triumphal About a Donkey? We talk about Matthew 21 and Jesus’s triumphal entry into Jerusalem. What does this mean for His rule and reign in the Kingdom of God and what does it mean for us? We talk with Tim Mackie, co-creator of The Bible Project, about the story of the Holy Spirit, some common misconceptions and what it means that God lives in us. Sin: it’s more than eating a piece of fruit that drove Adam and Eve out of Eden. We talk about the basis of sin and its effects on the world. #10 - Brothers & Sisters: Can We Do Theology Together? In light of recent discussions, we have a conversation about the benefits of doing theology together as brothers and sisters in Christ. #9 - What You Talking About, Jesus? The parables of Jesus are central to Matthew’s Gospel and valuable to biblical study. But what are they and how should we read them? #8 - Do You Even Theology, Bro? You asked. We answered. We talk through listener questions ranging from original sin to death to the Nephilim. #7 - The Best Sermon Ever? We discuss Genesis 1-2 and how it shapes a Christian doctrine of creation by its original context and distinctives from other ancient origin creation narratives. We discuss Matthew’s account of Christ’s birth including several misconceptions of the story, how it relates to the Old Testament, and why the incarnation had to happen. #4 - Are Catholics and Protestants One Big Family? We’re joined by Dr. Gregg Allison of Southern Seminary to discuss what Catholics believe, examining the role of the Reformation, as well as similarities and differences with Protestants. #3 - Is God Three or One? We discuss the Trinity, looking at common misunderstandings and what is at stake if we do not properly understand this foundational doctrine of the Christian faith. We work through the lineage of Jesus in the Gospel of Matthew and discuss why genealogies in the Bible, though intimidating and confusing on the surface, are significant. #1 - What Is Knowing Faith? We introduce our new podcast with Jen Wilkin, JT English and Kyle Worley and discuss the single biggest theological and biblical issues facing the church today.